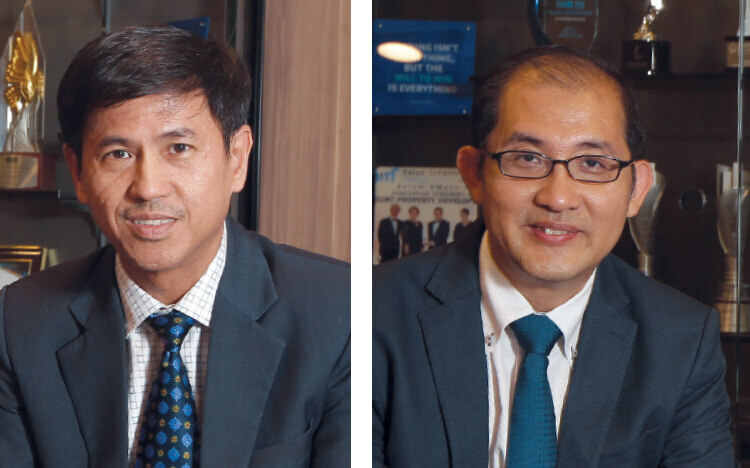 For Paramount Property Development Sdn Bhd, value comes in the form of quality — not only in terms of the workmanship and design of its developments but also in the customer-centric services the company offers, group CEO and director Jeffrey Chew and CEO of property division Beh Chun Chong tell City & Country. “At the end of the day, it is the experience of our customers and the residents of our properties that matters to us. We want to ensure that they enjoy a good long-term experience and journey with us,” says Chew. 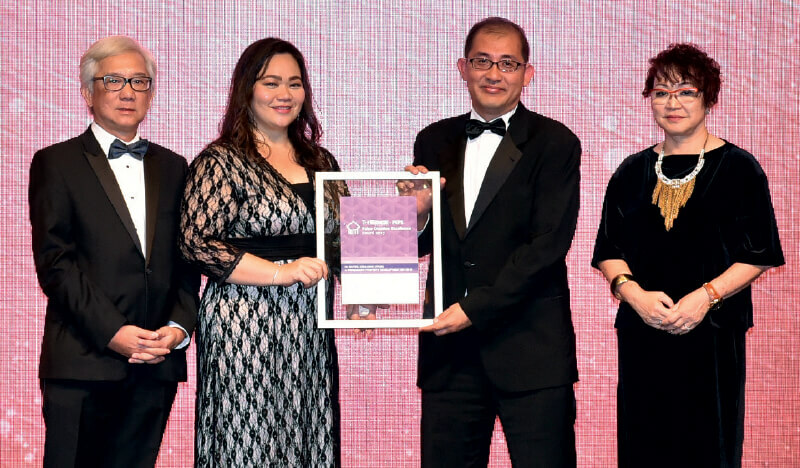 This year, the developer’s first high-rise residential development — KU Suites at Kemuning Utama in Shah Alam, Selangor — won the merit award under The Edge Malaysia-PEPS Value Creation Excellence Award 2017. Beh says the success of KU Suites can be attributed to several factors. They include its accessible location, design and planning features, affordable price and, of course, holistic quality that is synonymous with Paramount Property’s brand, which has been around for over three decades. KU Suites is located in the 524.7-acre Kemuning Utama — the developer’s first township development in the Klang Valley. It is adjacent to established townships such as Kota Kemuning and Bukit Rimau, and surrounded by established amenities. The development is accessible via the Kota Kemuning Interchange and Bukit Rimau Interchange as well as connecting highways such as Lebuhraya Shah Alam (Kesas), Lebuhraya Kemuning-Shah Alam (LKSA), New Klang Valley Expressway (NKVE), Federal Highway, North-South Expressway Central Link and New Pantai Expressway (NPE). Apart from its multi-tiered security system — the first of its kind in the area at the time of its completion, according to Beh — the serviced apartment offers practical, spacious and well-ventilated layouts for its units, a double-volume lift lobby and a 2.4m-high lift corridor on each floor to reduce the heat in the building and, in turn, lower the electricity and maintenance costs in general. 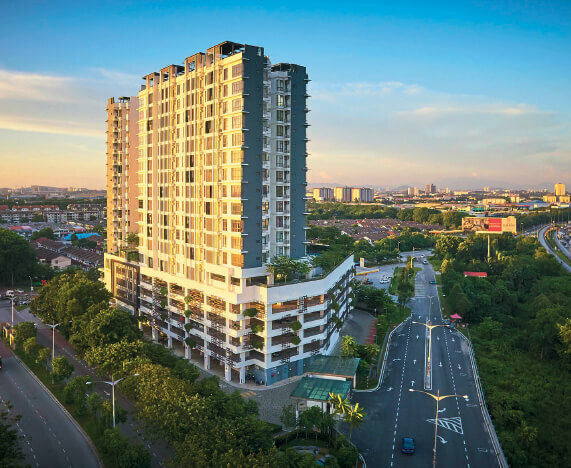 “When we were planning KU Suites, Paramount Property had already delivered over 2,000 landed residences in Kemuning Utama. So, we looked at the demand and affordability level of the area and decided to bridge the gap by offering units in the RM300,000 to RM500,000 price range, catering for the middle-income segment of buyers and providing them with a chance to own a property in the already thriving area,” says Beh. Sitting on a 2.17-acre parcel, the freehold KU Suites has a gross development value of RM100 million. It has 238 fully-fitted serviced apartments that come in various layouts, from studios (with a built-up of 667 sq ft) to two-bedroom (816 sq ft) and three-bedroom units (1,009 to 1,151 sq ft). “We wanted to make things easier for our buyers, so all the units come with a wardrobe as well as kitchen and toilet fittings and appliances,” Beh explains. Priced around RM450 psf at their launch in March 2012, the units have since appreciated by about 30% in value, says Chew. They were initially priced from RM300,900 for the studios, RM373,000 for the two-bedroom units and RM456,100 for the three-bedroom units. “KU Suites is value for money and, compared with the majority of landed developments in and around the area, the serviced apartments were considered very affordable at the time,” says Beh. Recent transacted prices of units there on the secondary market were RM480,000 to RM500,000 for the two-bedroom suites and RM545,000 to RM550,000 for the three-bedroom suites, he adds. Every unit comes with two parking bays. “It is common these days to see at least two cars to a unit, so having ample parking lots is very important. We don’t want to have a development where cars are parked all over the main road, which looks quite bad. So at KU Suites, even the studio unit gets two parking bays,” Chew explains. Facilities at KU Suites include a gymnasium, sauna, lap pool, wading pool, multipurpose room, barbeque area, rooftop garden, children’s playground, reflexology path, nursery and surau. Residents pay a maintenance fee of 35 sen psf per month and 10% of the service charge for the sinking fund. According to Beh, the company benchmarks the quality of its developments against the Construction Industry Development Board’s Quality Assessment System in Construction (QLASSIC) score. KU Suites achieved a score of 72%. “When we launch products, we don’t want to just design, construct and hand them over to the buyers. For the company, which has been around for nearly 40 years in the property development industry, our reputation over the next 40 years is very important,” says Chew. The developer has standard operating procedures in place for the maintenance of KU Suites, so that the joint management body (JMB) can maintain and keep the property in good condition over time. “We were involved in initiating and supporting the setting up of the JMB as we understand that it isn’t easy. We then assisted them along the way, including the inspection of defects in the building and carrying out improvements, such as adding rain screens and a railing on a 4ft wall for additional safety,” explains Beh. After KU Suites, Paramount Property launched integrated development Paramount Utropolis in Glenmarie. It will be launching several other high-rise developments next year, including in Batu Kawan in Penang, Section 13 in Petaling Jaya and Klang.